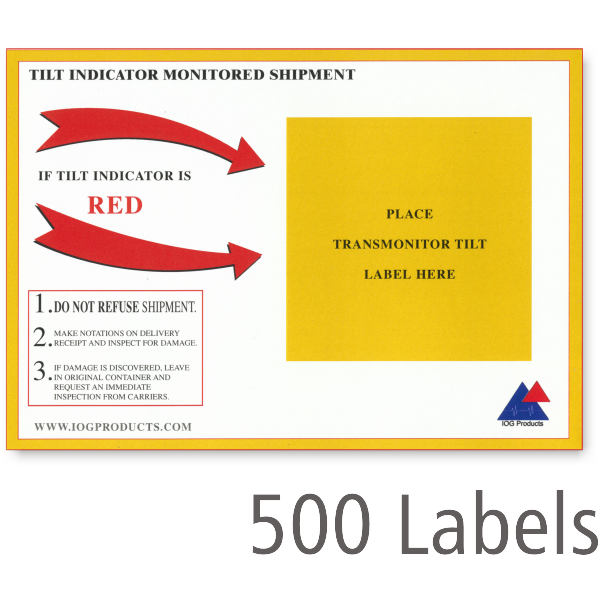 Easily monitor if your package is mishandled during transit. 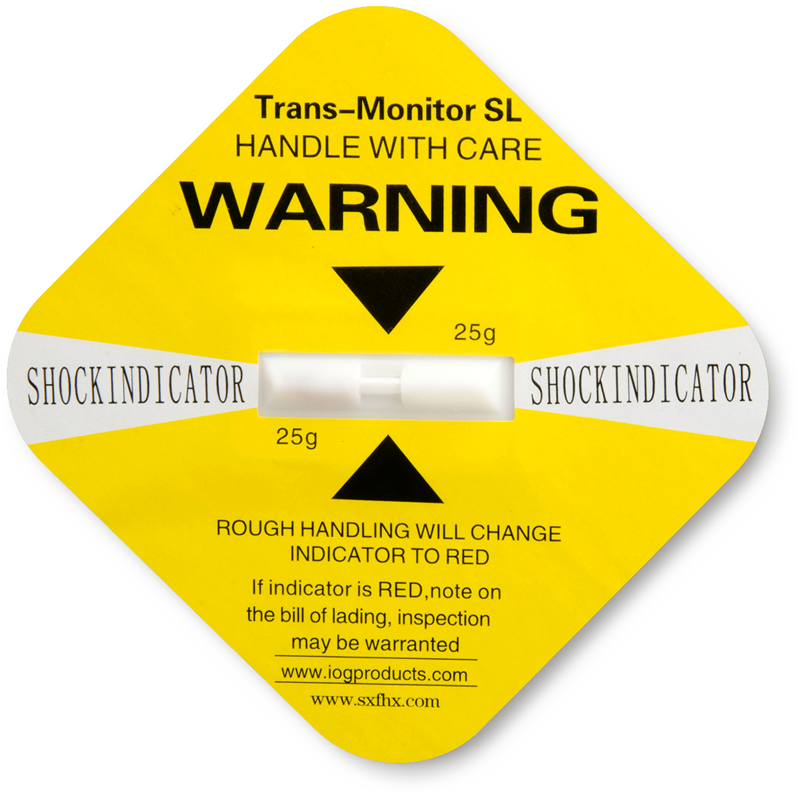 Our Shock Indicator is the most affordable and effective way to gauge if your package was handled roughly en route, and the Tilt Indicator tracks whether a sensitive shipment stayed upright in transit. 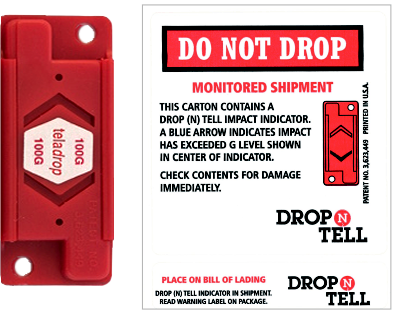 • Teladrop Drop-N-Tell Indicator shows a blue arrow if the package receives an impact exceeding the specified G range, which you can select on the next page. 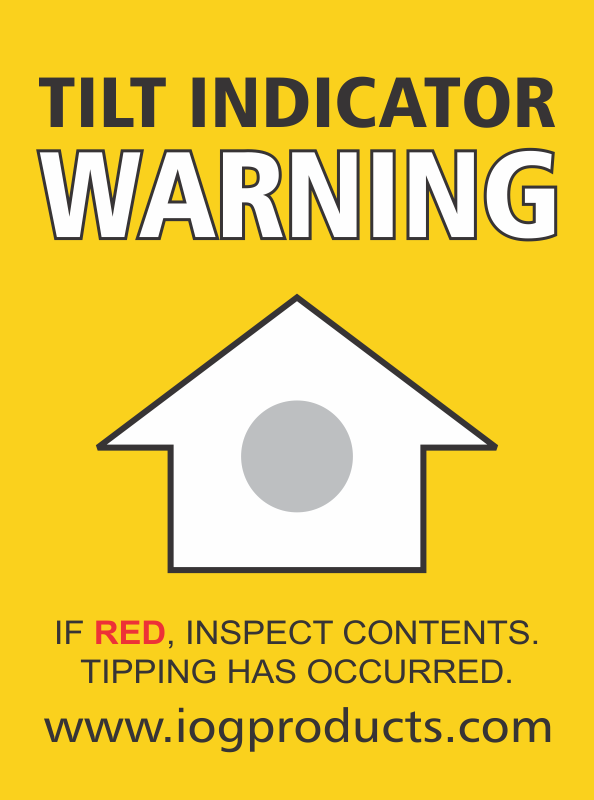 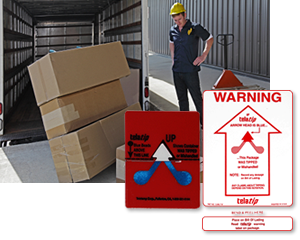 • Telatip Tip-N-Tell Indicator warn of possible damage to a package or container that has been tipped in transit. 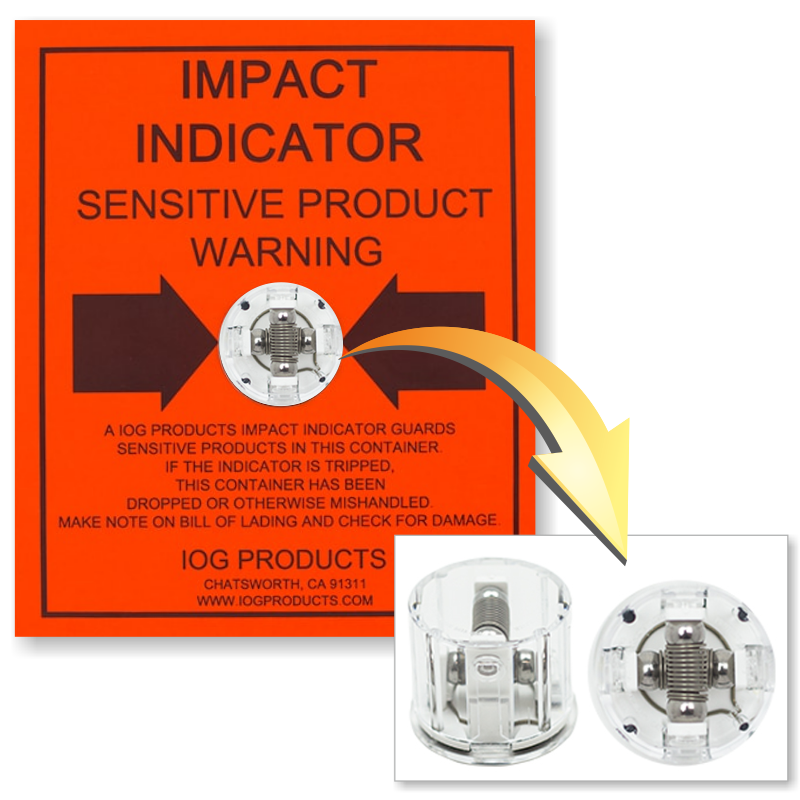 It is sensitive enough that it will indictate if it's been gently tipped or completely upended. 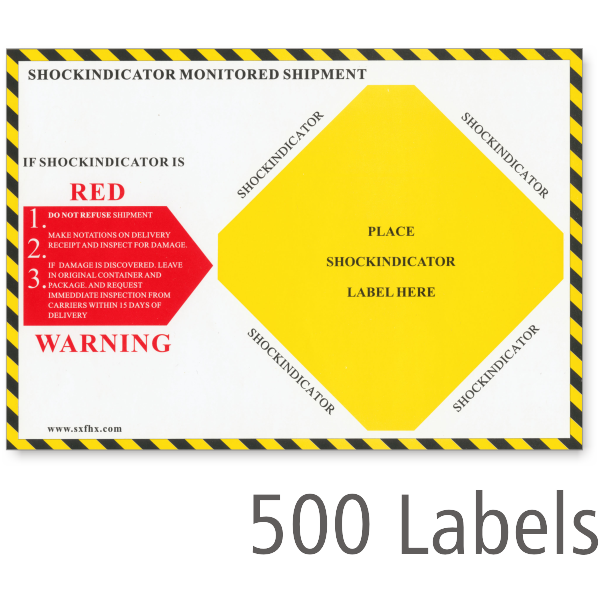 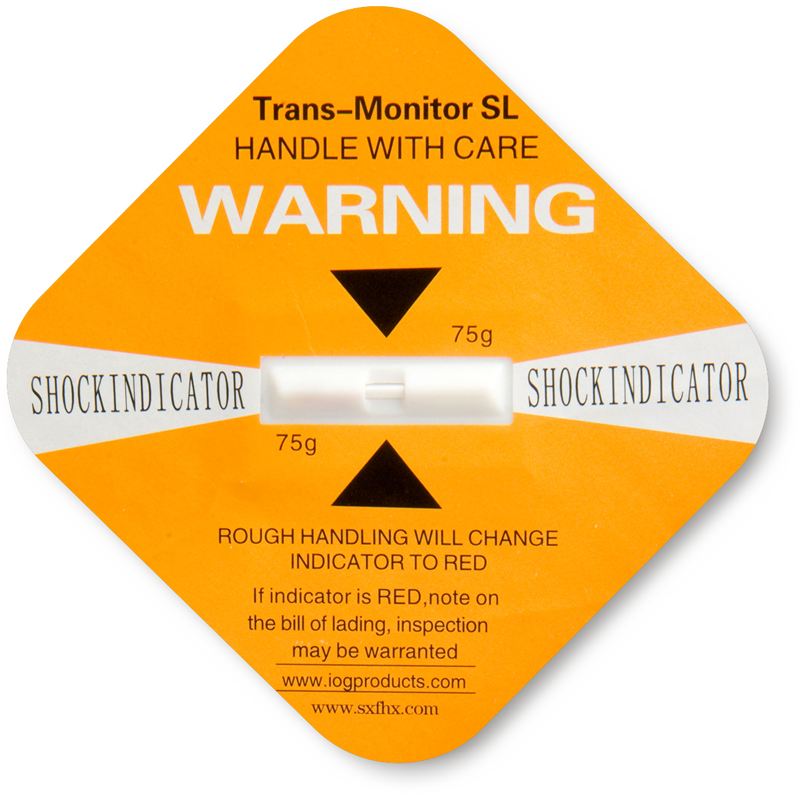 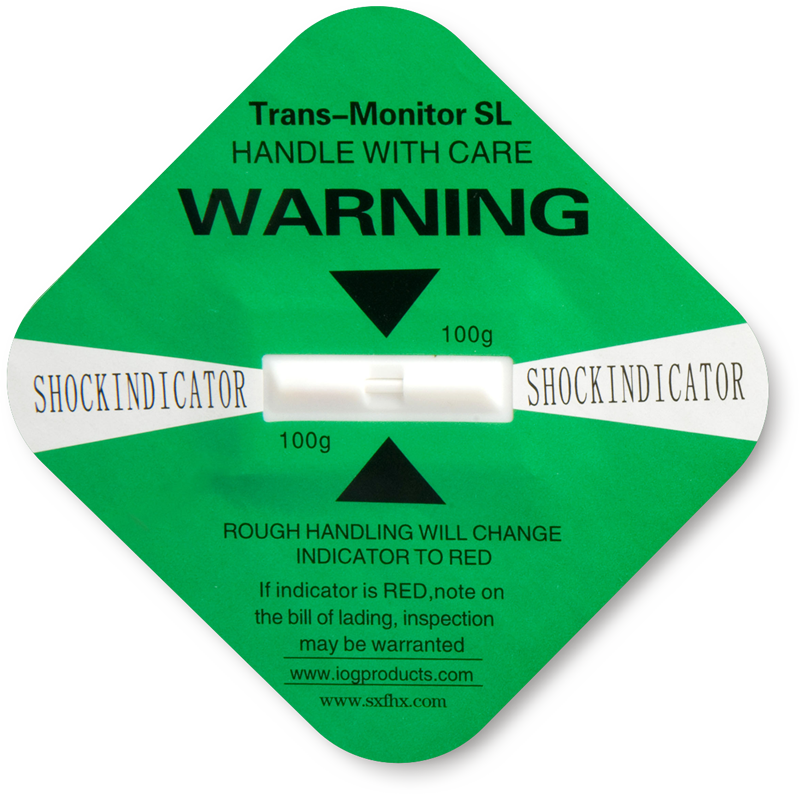 • Trans-Monitor SL Shock Indicator turns red if a package is dropped. • Trans-Monitor Tilt Indicator turns red if a package carrying liquids or sensitive equipment is turned upside-down or on its side during transit. 2.78" x 3.80" x 0.10"
0.83" x 1.02" x 0.21"